Manchester United are in complete overdrive to retain the services of fan-favourite shot-stopper David De Gea. The Spaniard has been linked with a move to Real Madrid ever since the stories of his exploits started to gain popularity in Europe. At one point, the goalkeeper almost looked certain to return to the Spanish capital, but the move fell down the drain due to a faulty fax machine. Nevertheless, the Galacticos have kept their resolve strong, and are still pursuing De Gea even now, according to several reports. 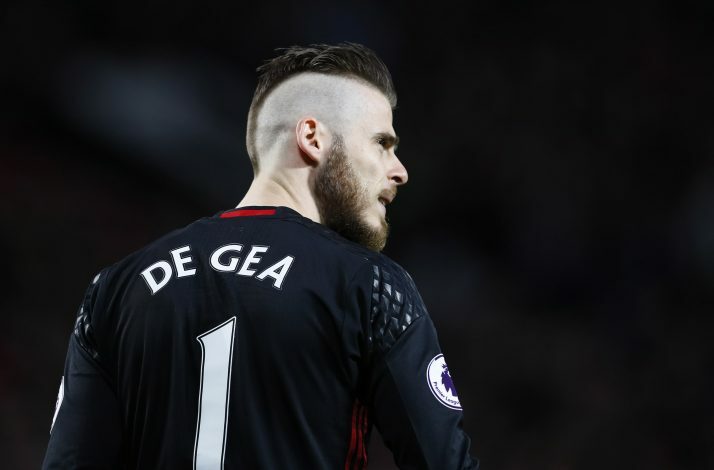 However, it seems like the time has come when the supporters get a verdict on their goalkeeper’s future, as the Red Devils are preparing a £350,000-a-week contract for the Spanish international, as per Daily Star. This would make United’s crown jewel in defense the best paid goalkeeper in the history of the sport, and the joint-second best paid player in the Premier League, alongside Arsenal’s Mesut Ozil. This development seems to be the Mancunian giants’ biggest attempt yet to fend off interest from Los Blancos. Moreover, the Red Devils want their superstar to be aware that his importance to the squad is recognised aptly. With an incredible 19 clean sheets in 34 appearances over the course of this campaign, no wonder the people in power at Old Trafford are so desperate to tie the 27-year-old’s future down in Manchester.